Atmospheric conditions often dictate how successful a fishing trip will be. Count on accurate weather information and forecasting to help you find the best places, times, and locations to catch fish. 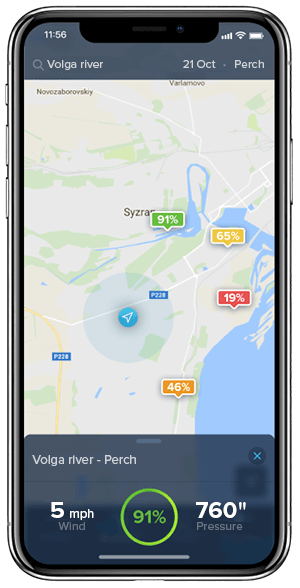 TipTop Forecast is a true all-in-one fishing trip planner – and it’s free! 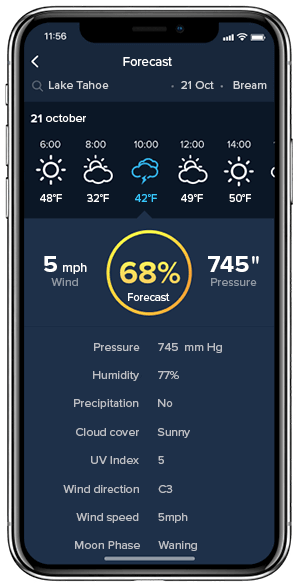 TipTop Fish collects atmospheric data from the world’s most reputable sources to create the most detailed and accurate forecast available. The bottom line: it helps you catch more fish! 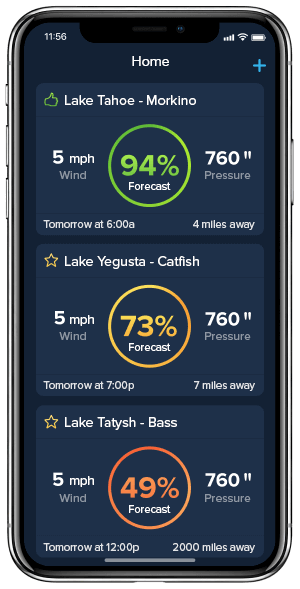 TipTop Fish utilizes cutting edge scientific technology including the recent research and findings of ichthyologists (fish scientists) about fish habits and behaviors in order to build a truly complete fishing forecast app. The app also draws from the extensive experience and knowledge that previous generations of fishermen have contributed.